Originally published under the title "UK Commander Slams World's Weak Response to 'Human Shields' for Causing Terrorists to Use Them More." French Defense Minister Jean-Yves Le Drian: "We pay as much attention to the targets we select as to the need to combat Daesh [Islamic State]." Daesh [ISIS] is organized in such a way that children, women, civilians are being put on front lines. Its leadership is hiding in schools, mosques, hospitals, making the action of the coalition in Iraq and the action of France and other partners in Syria difficult, because we don't want civilian casualties. We pay as much attention to the targets we select as to the need to combat Daesh. This is a frank admission of the human shield tactic practiced by Islamists and its crippling effect on Western fighting. We asked Colonel Richard Kemp, the former British commander in Afghanistan and an expert about war ethics, to comment on Le Drian's no-nonsense statement. PJM: Do Le Drian's remarks come as a surprise to you? Kemp: Not in the least. The Islamic State (ISIS) is adept at using human shields and locations protected under the Geneva Conventions. They are war criminals. 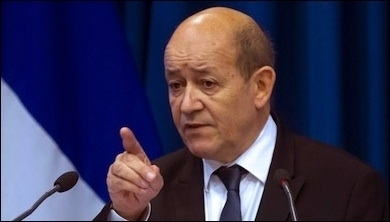 The comments by Jean-Yves Le Drian are understandable and it is right that so-called collateral casualties are avoided as far as possible; but his comments also indicate the danger of the Western response to Islamist terrorist use of human shields, which often serves to encourage greater use of this tactic and leads to more and more civilian deaths. Kemp: Islamist terrorists everywhere use innocent men, women, and children from their own population as human shields. They also use protected buildings such as hospitals, mosques, and schools to shelter their fighters in, to store munitions, to locate command centers, and to attack from. All of this is illegal under the Laws of Armed Conflict (LOAC). Islamist terrorists have no interests in LOAC except to the extent that they can exploit their enemy's — such as French, British and Israeli forces — adherence to it. "[T]he Western response to Islamist terrorist use of human shields ... often serves to encourage greater use of this tactic." These tactics ... [are] designed to force an Israeli defensive response which will inevitably result in Palestinian civilian deaths." This is the only way they can inflict damage on the State of Israel — and it works. Kemp: The international community — national governments, world bodies such as the EU and UN, human rights groups and the media — all take precisely the wrong response to the use of human shields. This has been nowhere stronger or more damaging than in relation to Israel and the Gaza conflict. Instead of condemning the use of human shields by Hamas, the international community and media condemn Israel out of hand and often without any investigation or consideration of the reality. This plays absolutely into the hands of Hamas. And the consequence of the international community's response? To further encourage the use of human shields by Hamas and by terrorists everywhere. Hamas increased their use of human shields after each conflict when they saw the consequences of doing so. 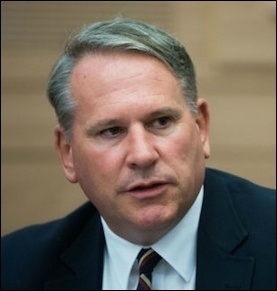 Hezbollah has learned from Hamas's success, and has embedded 100,000 missiles pointed at Israel in the civilian communities of southern Lebanon. By condemning and pressuring Israel rather than Hamas — who are actually responsible for the vast majority of civilian deaths — the international community has blood on its hands. This approach ultimately results in more human misery, suffering, and death. The proper response to human shields is strong condemnation and sanction against anyone who uses them. The international community should not allow the use of human shields to pay. In military terms, forces should not allow themselves to be deterred by the use of human shields. To do so again plays into the hands of the terrorists and encourages their further use of human shields, ultimately resulting in greater numbers of casualties. Of course they can't attack without consideration of civilian casualties and they have a duty to minimise civilian casualties in every situation. Under LOAC they must only ever risk inflicting civilian casualties when proportionate to the overall military gain. If armed forces and politicians continue to allow themselves to be deterred from effective action by human shields, then their use will expand even further, and it will become impossible for Western forces to prosecute military conflict and to defend their countries and their interests. This is, of course, the terrorists' objective as well as the objective of many activists and supporters in the West.